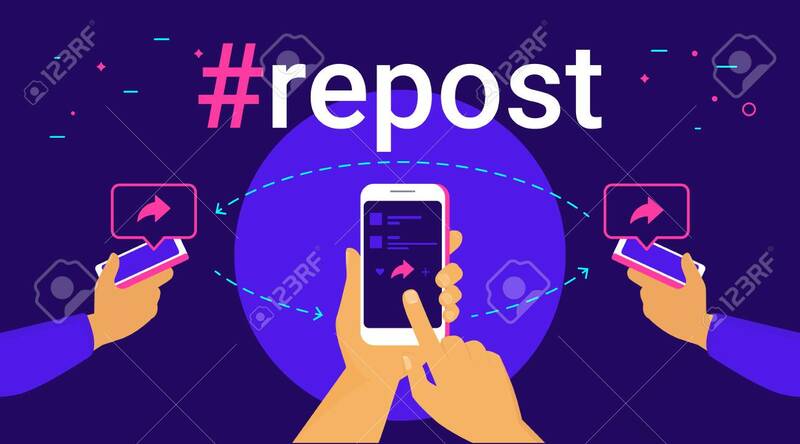 Hashtag Repost Concept Flat Vector Illustration Of Human Hands Hold Smart Phones And Push Repost Button On The Screen Sharing To Friends. Social Media Hashtag And Speech Bubbles With Share Symbols Lizenzfrei Nutzbare Vektorgrafiken, Clip Arts, Illustrationen. Image 117329349.